Molly and Liza have always been close in a way that people envy. Even after Molly married Daniel, both considered Liza an honorary member of their family. But after Liza moved away, things grew more strained than anyone wanted to admit - in the friendship and the marriage. When Daniel goes away on business, Molly and Liza plan to reconnect with a nice long video chat over wine after the kids are in bed. But when Molly leaves the room to check on a crying baby, a man in a mask enters, throwing Liza into a panic - then her screen goes black. When Liza finally hears from Molly, her message is icy and terse, insisting everything is fine. Liza is still convinced something is wrong, that her friend is in danger. But after an all-night drive to help her ends in a brutal confrontation, Liza is sure their friendship is over - completely unaware that she's about to have a near miss of her own. And Molly, refusing to deal with what's happened, won't turn to Daniel, either. But none of them can go on pretending. Not after this. 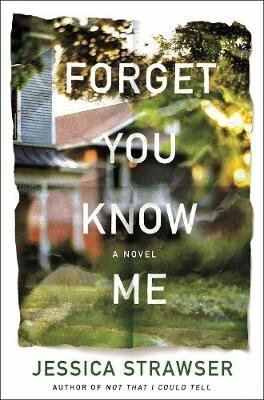 Forget You Know Me exposes the wounds of people who've grown apart, against their will. Best friends, separated by miles. Spouses, hardened by neglect. A mother, isolated by pain. The man in the mask will change things for them all. But who was he? And will he be back?